The Civil Society Legislative Advocacy Centre (CISLAC) has called on the Federal Government to increase taxes on tobacco to raise its prices with a view to reducing the consumption in the country. 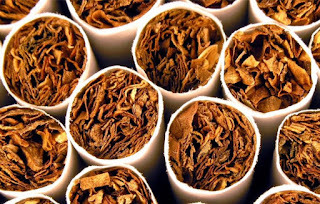 Mr Auwal Rafsanjani, Executive Director, CISLAC said this in a statement on Sunday in Abuja, insisting that such measure had been implemented in countries where the tobacco companies operated. Rafsanjani also said that such companies paid huge penalties for the violation of such law in their home countries, adding that Nigeria should not jettison the measure. He said CISLAC condemned in totality, the open display of rascality arising from the recent threats by a tobacco company and other multinational tobacco firms in some African. “We are not unaware of some dangerous and terrible efforts by the group to frustrate successes against tobacco use across Uganda, Namibia, Togo, Gabon, Democratic Republic of Congo, Ethiopia, Kenya and Burkina Faso. He said that there was also the potential of having eight million estimated deaths by 2030, most especially people in developing countries. The Executive Director said that CISLAC was also aware of evil propensity of Tobacco Industries’ legal intimidation and threats. He said but such threats should not constitute a formidable obstacle to the current gains recorded against the dreaded effects of tobacco use in Africa. The Executive Director said the ongoing drives for the passage of Tobacco Control Regulations in Nigeria would soon be before the National Assembly for the effective implementation of the National Tobacco Control Act 2015. He urged the National Assembly and the government not to succumb to the legal and economic threats by the tobacco firms. Rafsanjani also called on them to uphold the implementation of the regulations in accordance to the pro-poor provisions of WHO. He said the advice became necessary in view of the serious implication of the use of tobacco to the socio-economic burden of use on families, the poor, and health systems. Rafsanjani also called on the Federal and state Ministries of Agriculture to invest in healthy means of livelihood for Nigerians and find alternative crops for hapless tobacco farmers to effectively engage in. This, he said was to avert economic threats by tobacco industries and avoid epidemic of Green Tobacco Sickness, a disease common to tobacco farmers. He also called for intensified and continuous awareness among policy sponsors and policy champions of tobacco control to fast-track the passage/implementation of Comprehensive Tobacco Control laws across Africa.